City residents dance in the Gorky Park on Russia Day. Why not give salsa dancing a go in Gorky Park while improving your vocab? Are you a foreigner who recently moved to Russia? Are the language and culture barriers standing in your way of making new Russian friends? Try out those events and activities and you’ll start feeling like a local in no time! Moving to a new country or city is always hard, especially if you’re not fluent in the local language. But being a newcomer in Russia can be particularly challenging from the get-go, because social life and activities don’t seem as open and easily accessible as you might find them in more typically cosmopolitan destinations. Like many things in this mysterious and eccentric country, however, this is only a façade: in reality, social life in Russian cities is as exciting and diverse as it gets, you just have to know where to look. Here are a few types of events and activities that you should look out for if you want to meet Russians and improve your language skills. Language cafés are a popular concept in Western Europe, but they are rapidly gaining ground in big cities in Russia too. The way they work is simple: usually a group or association, student or other, organizes an event on Facebook or the Russian social network VKontakte and sets a meeting point where people who speak foreign languages can meet and practice with other learners or native speakers. So, for example, if you’re from France, there would be a French-speaking table where you could talk to people studying French and help them improve their conversational skills. Inversely, there would most certainly be a Russian-speaking table where you can test your skills and challenge yourself to speak in Russian. This type of events is really useful for learning languages, and above all, it’s a great way to meet people in a fun and relaxed way. The only possible downside is that sometimes these events tend to be advertised primarily to foreigners and you might find yourself with more internationals than Russians. Nevertheless, if you’re new in town and still too shy to try the other suggested activities, it’s a great way to get you started. If you live in Moscow and you’re having trouble finding such events online, a good place to start is the Facebook page Moscow Language Exchange. They organize several language exchange cafés a year and you can even join their group, where you could find Russians looking to learn your native language and arrange one-on-one meeting. Another fun way to meet new people, and one that’s even more popular among Russians, is social dancing. 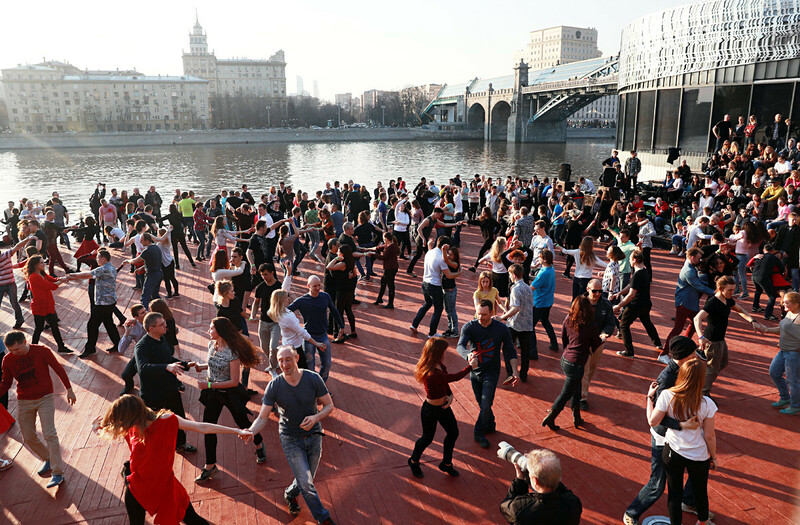 In Russia, open dancing lessons and workshops are a very common activity, especially in summer and early fall when you can often see people dancing salsa, jazz, or even ballroom dances in parks, squares, or by the river. These events are almost always free and you don’t even need to sign up in advance or commit to a long-term program, you can just turn up and join any time. Social dancing is a great way to release your inhibitions, both on the dance floor and in conversation. Since you dance in couples and switch partners periodically, you’ll have plenty of opportunities to make small talk with your partners and laugh over how bad (or how good!) you both are. And your go-to Russian expression? Davaite potantsuyem! If you’re feeling particularly brave, you can try out these free hustle dance lessons throughout the whole month of October! If dancing isn’t really your thing, don’t worry, there’s plenty of other free activities where you could meet locals. 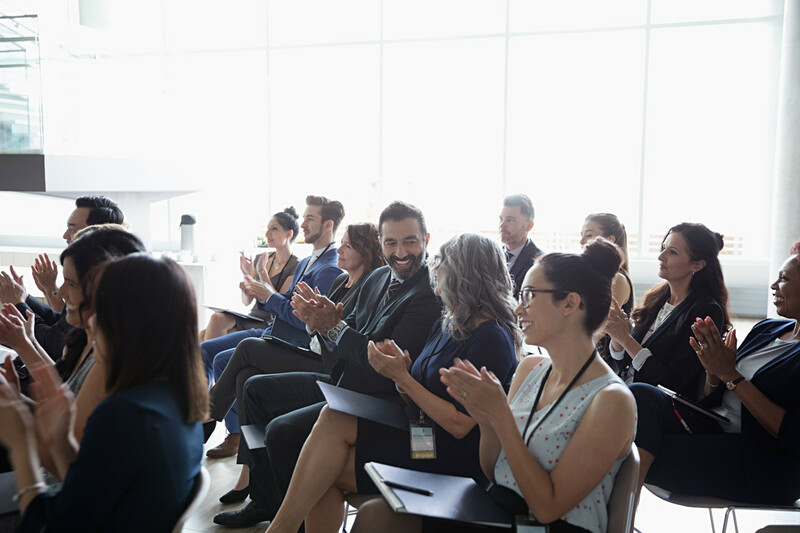 In case you’re looking for an occasion for more professional or academic networking, conferences, and seminars are the choice for you. Like the previous options, they are open to everyone and you can find information about them on social media, but keep in mind that for some of them you might have to sign up in advance. You can find all sorts of conferences and debates on a wide variety of topics, from politics and economics to the history of fashion or artificial intelligence. Conferences are twice as effective for learning Russian, because not only most of the people there will be Russian, but the presenters would also be speaking Russian, which gives you a great opportunity to improve your vocabulary. In order to make the most out of it, we recommend arriving early and staying a bit after the lecture, so you can have the chance to discuss it with the other participants or even the lecturers themselves. Who knows, maybe some of these people would turn out to be valuable business contacts or just interesting like-minded Russians. Fun fact: the author of this article found her internship and subsequent job precisely through networking at a public conference, and so can you. These are just some of the many free and open social activities you could use to meet locals and practice Russian, but if you dig more into social media and cultural program websites, you can find many more. 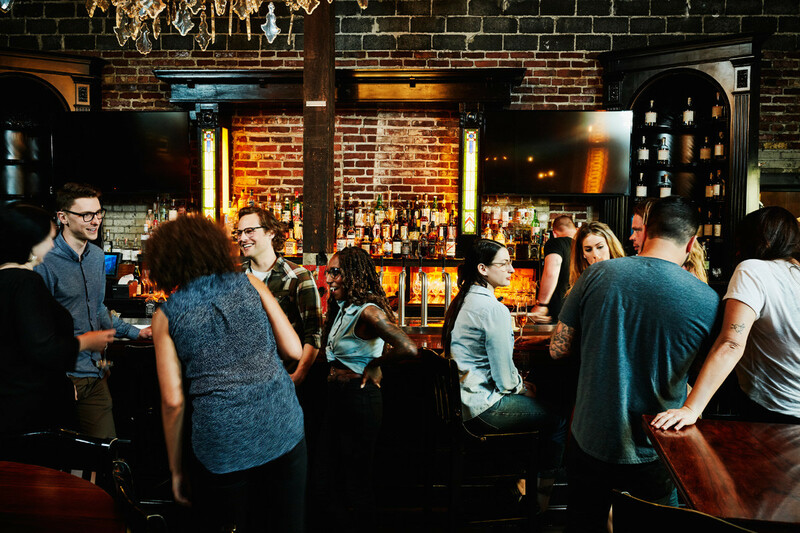 The opportunities are so many that we almost forgot to mention the simplest one: just go to a bar and strike up a conversation with a stranger. Despite their occasionally serious faces, Russians are just like any other nationality in the world: if you smile and say “hi,” they’ll probably be happy to talk to you, despite the initial language barrier. The most important thing is to keep a positive attitude and to go there with an open mind. Udachi!